U.S. military halts some exercises with Gulf allies over Qatar dispute. The Qatar crisis began June 5, when Bahrain, Egypt, Saudi Arabia and the United Arab Emirates launched an economic boycott while closing off the energy-rich nation’s land border and its air and sea routes. The quartet of Arab nations pointed to Qatar’s alleged support of extremists and overly warm ties to Iran. Qatar long has denied supporting extremists and shares a massive offshore natural gas field with Tehran that makes its citizens have the highest per capita income in the world. Initially, U.S. military officials said the boycott and dispute had no impact on operations. Qatar is home to the massive Al Udeid Air Base, the forward headquarters of Central Command, which oversees the U.S.-led coalition’s bombing campaign against ISIS and manages a direct line to Russia to manage Syria’s crowded skies. But as the dispute went on, U.S. Defense Secretary Jim Mattis traveled to Doha to offer his support. The Trump administration also agreed to an in-the-works sale of F-15 fighter jets to Qatar for $12 billion. Responding to queries from AP, Air Force Col. John Thomas, a Central Command spokesman, acknowledged it would be cutting back on the exercises. 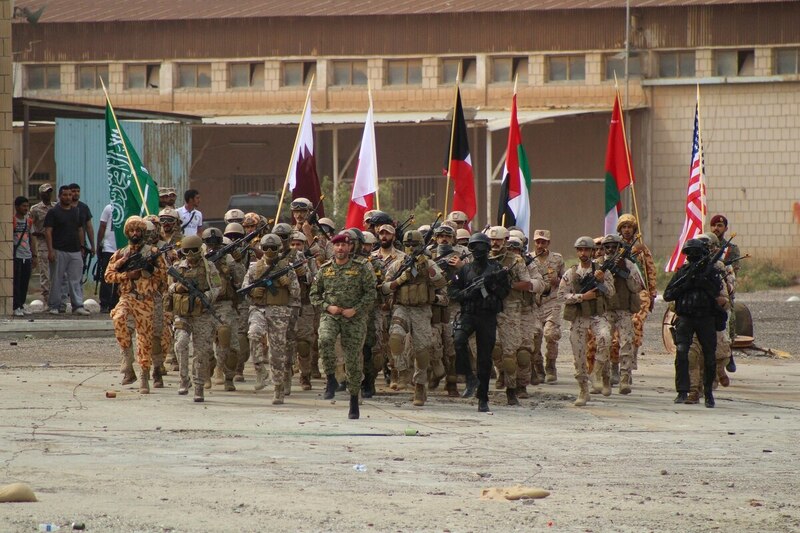 U.S. and Gulf allies also have regularly held joint, smaller-scale exercises in the region. The American military’s decision comes after an influential Republican senator said in June he’d withhold approval of U.S. weapons sales to several Middle Eastern allies. Those moves together signal to Gulf countries that American officials want the crisis resolved sooner rather than later, said Kristian Coates Ulrichsen, a research fellow at the James A. Baker III Institute for Public Policy at Rice University.